Can You Change Your Senior's Mind if She's Not Happy about Having Help? - All Care Hawaii. LLC. Can You Change Your Senior’s Mind if She’s Not Happy about Having Help? It’s not uncommon at all for caregivers to find that they need some extra help and their elderly family member is not having it at all. There are a million reasons for resistance that can range from your senior feeling as if she doesn’t need help to not wanting a stranger around. Normally as a caregiver, you want to focus on your aging adult and what you can do to help her. In this case, however, you might be better served by letting her know how much elder care providers can help you. You can be as general or as specific as you’re comfortable being. For example, you might let your aging adult know that you feel more secure knowing that someone is there with her, just in case. Chances are really good that your senior hasn’t had the full experience when it comes to elderly care providers. With that in mind, she may want to have a trial run to see how the situation could work to her benefit. This is also a wonderful way for you to test out what working with eldercare providers is like so that you know more about what to expect. Giving potential helpers a new job title, even temporarily, can help to reframe that person’s job description for your senior. 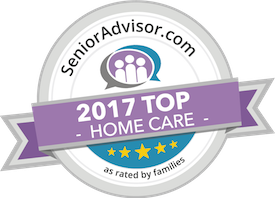 Calling elder care providers “housekeeping staff” can help your senior to look at other aspects of what they can do for her and for you. This can also take the attention off of your elderly family member a bit, which can help her to feel less singled out. Taking some time just to make introductions may sound complicated, but it can remove a lot of resistance for you. Set up a time for your senior to meet potential home care providers over coffee or something else that doesn’t feel threatening for her. If they hit it off, you might be surprised how quickly the tone changes. You may find that your senior gradually warms up to the idea of having someone else around, especially once she starts to see some of the main benefits herself. Have questions about hiring a caregiver in Wailea, HI? Contact the caring staff at All Care Hawaii today. Call us 24 hours a day, 7 days a week! Call Oahu? (808) 206-8409? or ?Maui? (808) 664-3853.